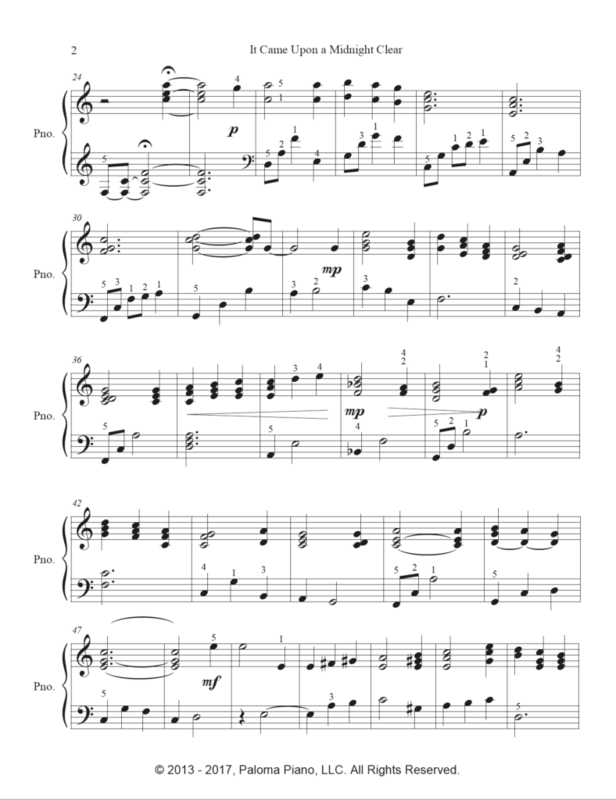 This meditational piece "It Came Upon A Midnight Clear" for Later Intermediate Players is rich in beautiful harmonies. Perfect for A Christmas Eve Candlelight Service or a quiet Christmas Party. Everyone loves Christmas music! Students do well when they can play music with which they are familiar. "It Came Upon a Midnight Clear" is one of the most beloved Christmas hymns. Help your students learn to play fluidly and accurately as they explore the Christmas repertoire. Read the post "10 Tips For Accurate Playing"
Edmund Sears composed the five-stanza poem in 1849. It first appeared on December 29, 1849, in the Christian Register in Boston. 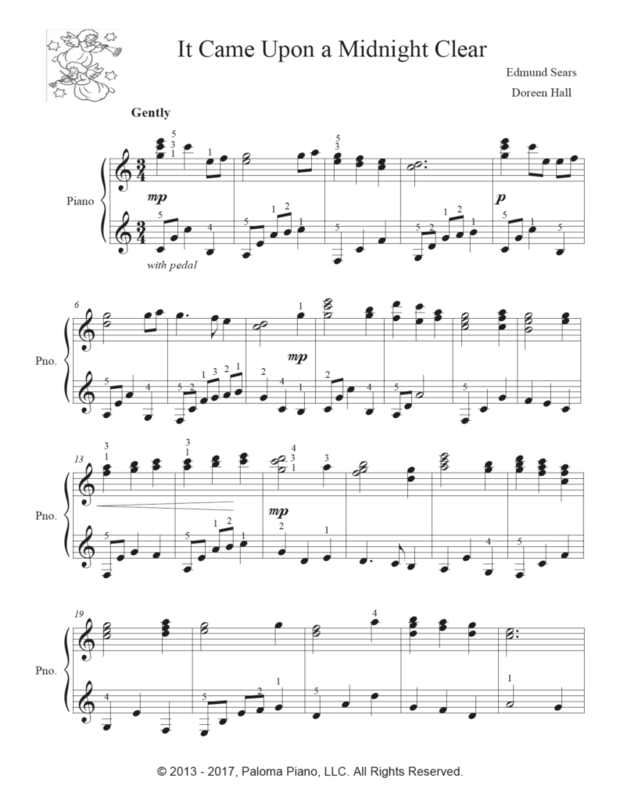 Paloma Piano offers a full line of Seasonal Music for piano students and teachers. Whether you are looking for music for Christmas, Hannukah Thanksgiving, St. Patrick's day, Valentine's Day or any other holiday we have you covered (and we are always adding more! ).